The official London Wayfarers Y1 Junior Hooded Top. 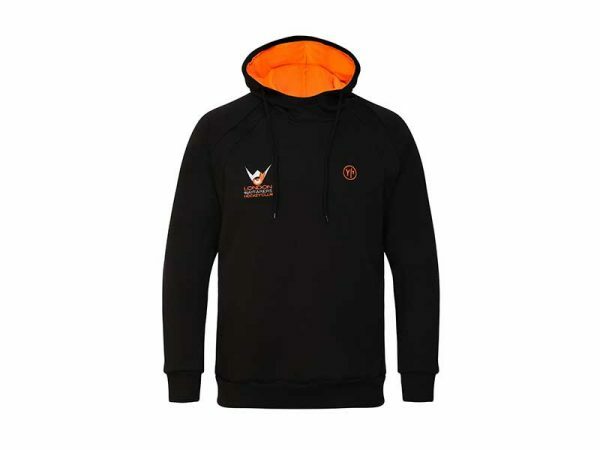 This high quality black and Orange Hoodie with club logo. *Please note personalised kit takes between 7-10 working days to dispatch.